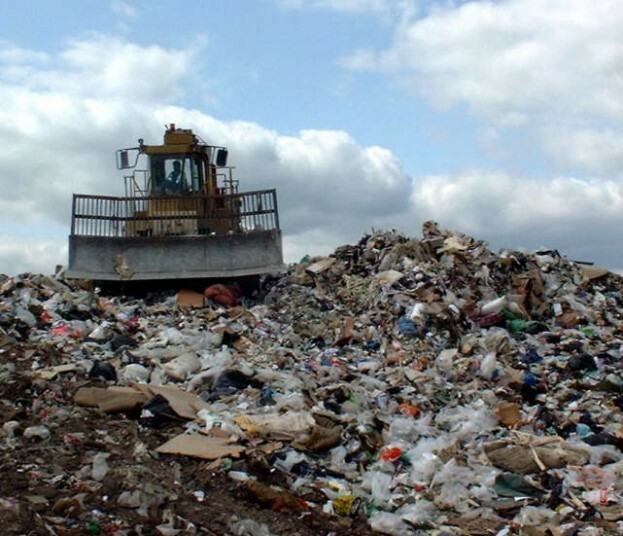 For further information we suggest that as a starting point you visit the “Summary of Landfill Directive Waste Acceptance Procedures”, on the United Kingdom Parliament web site. 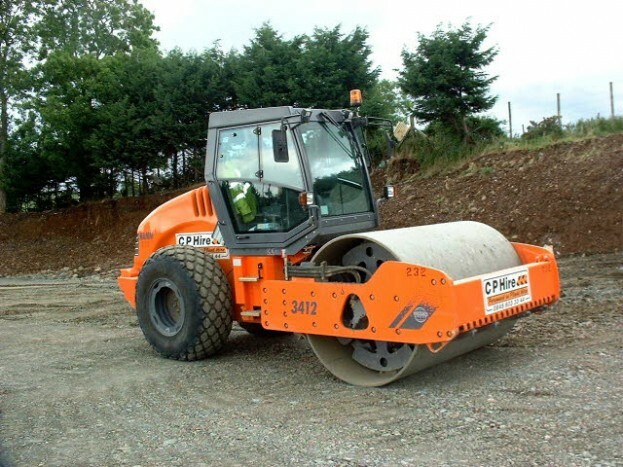 The recurring problem with inert waste is that construction and demolition wastes almost always contain other materials. The guidance on inert waste states that it “..shall not contain other material or substances such as metals, plastics etc”. However, the Waste Management Licensing guidance does allow selected construction and demolition waste from known sources containing “low contents of other materials (eg metals, plastics, organics, wood, rubber, etc.)”. Provided that these materials must be removed from the waste before burial, and that there has been no cross-contamination of these materials into the remaining material. It is hoped that this will continue as pollution prevention legislation is brought in. 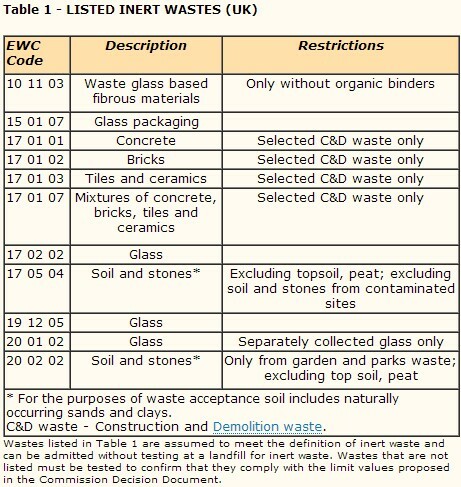 highways carriageway waste (scrapings etc) is not listed in Table 1, as it is usually classified as hazardous unless subject to leaching tests as heavy trafficking results in contamination from tyre and oil residues etc.